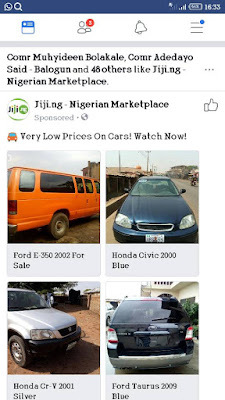 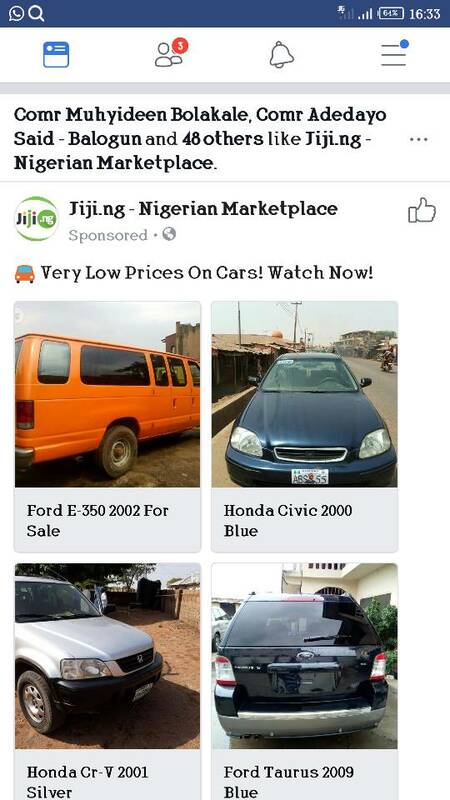 News reaching Kwarareporters from one of the customers of an online shopping platform Jiji have it that there is a Honda Civic 2000 Blue car display for sale on the platform Jiji by one Hon Oba, with plate number ABS 55 and also with the senate president Dr Abubakar Bukola Saraki picture. 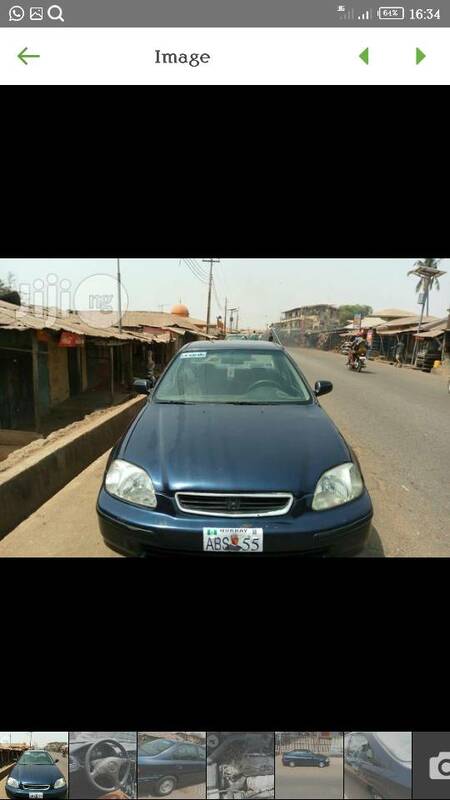 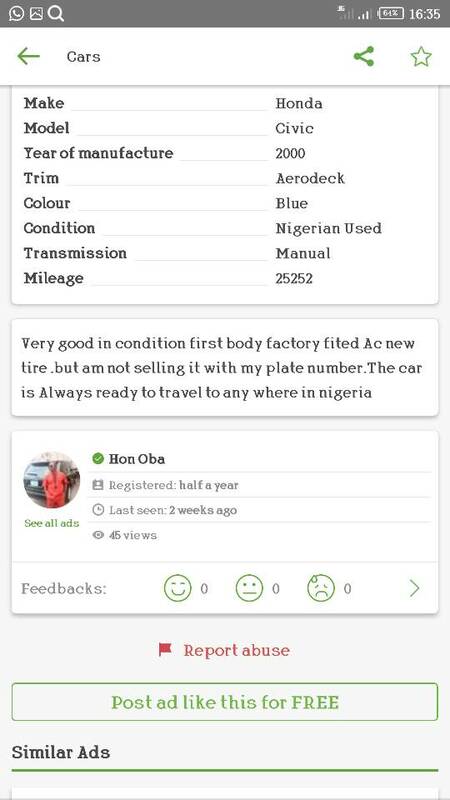 Presently we don't know the owner of this car, and all effort to contact Hon Oba (the seller) of this particular car was abortive but soon we will get you more details about the seller. 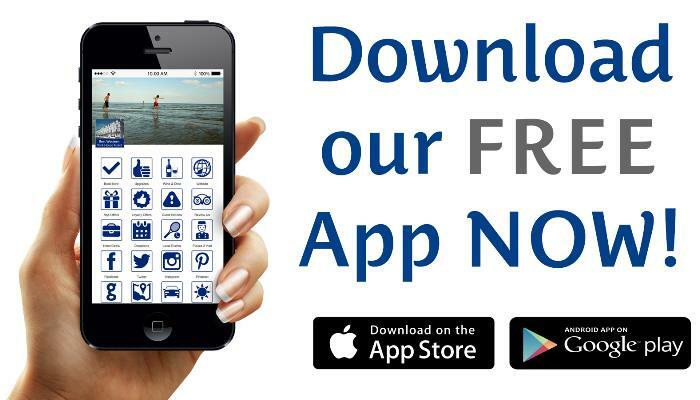 Stay tune while we will get you updated on the story.